The organizers of one of the most beautiful of the semi-classics , E3 Harelbeke Grand Prix, has announced the course of the sixtieth edition, which will take place on Friday, March 24. The route is absolutely unchanged from that of 2016 and so remains 206 kilometers long. At kilometer 30, the riders will have to climb the Katteberg, immediately followed by the difficult pave sector of Holleweg. A little further on, they will tackle the pave of Paddestraat (km 42.3) followed by a rolling part until the feed zone in Zarlardinge. Then the riders will La Houppe (km 93) and then the more difficult Kruisberg (km 109) which is followed by Knokteberg (km118), Hotondberg (km122) and Kortekeer (km129). The finale will start on the Taaienberg (km133, cobbled) followed by narrow roads leading to Boigneberg (km140) and then to the Eikenberg (km144, coblled). A little further on, the cobbled Stationberg (km150) and the Mariaborrestraat cobbles precede a section where there is a chance to recover as only the Kapelberg at km160 will be climbed. The decisive moves in the E3 Prijs Harelbeke are likely to be made with the succession of the very difficult Paterberg (km164) and the Oude Kwaremont (km167). From there, there are 25 kilometers from the finish but due to a small deviation to go up the Karnemelkbeekstraat (km 186), the actual distance is actually 37. The riders then head straight for Harelbeke after a small detour to tackle the beautiful Kerkhove pave (km 182). Another small detour leads up the Tiegemberg (km 186). From here, 18 kilometers on big, relatively straight roads remain before the riders arrive at the finish in Harelbeke which will be in the same place as in 2015 and 2016. 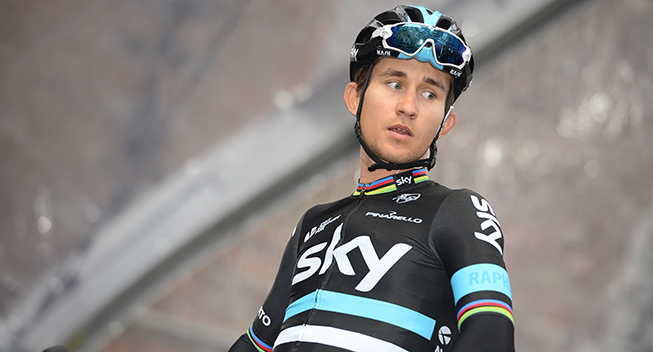 In 2016, Michal Kwiatkowski took the win.